After a close game against the Saginaw Spirit in Peterborough on Thursday night, the Petes headed north for their second game in as many nights to visit the Wolves. A back and forth affair eventually resulted in a 7-4 victory for the home team. Blake Murray’s 20th goal of the season was the first of the night off a centering pass out of the corner from Macauley Carson, giving the Wolves an early lead at 6:29. Mid-way through the frame, career Pete Adam Timleck buried his team’s first equalizer with help from Nick Robertson and Matt McNamara. Sudbury would be quick to restore their lead, though, as Liam Ross would beat Hunter Jones through the five hole with a wrist shot from the high slot. The Eastern Conference rivals would head to their rooms with the Wolves holdings leads on the shot and score clocks. A late penalty by Semyon Der-Arguchintsev that carried over into the second stanza and a charge against Cole Fraser were effectively managed by their teammates before Timleck would strike again to tie the game at 2, this time tipping in a Ryan Merkley shot supported by Michael Little at 5:38. The Wolves would once again claw back to take the lead off the stick of Nolan Hutcheson, going ahead 3-2. 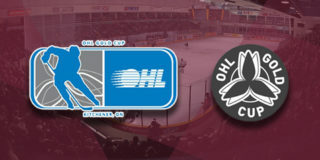 The clubs exchanged penalties again, including Der-Arguchintsev recording multiple infractions in a game for the first time in his OHL career. Sudbury took their first two-goal on their first power play of the match with just 7.5 seconds left in the frame as Shane Bulitka fired a shot from inside the circle past Jones. A great effort in the face off circle was overshadowed by Sudbury’s continued shot and goal lead through 40 minutes. The third period kicked off with a Wolves penalty, sending the Petes to just their second man advantage of the game. It was Sudbury that would capitalize, though, with Drake Pilon putting away the shorthanded, game winning marker to make it 5-2 for the Wolves. Peterborough refused to pack it in, and Timleck scored his second hat trick of the season and of his career to bring his team back within two goals of the 5-3 Sudbury lead. Erik Cermak and Der-Arguchintsev assisted on the play. Chris Paquette would be sent to the sin bin, generating another advantage for the Wolves on which Cole Candella would convert Sudbury’s sixth goal of the game. 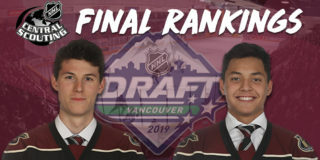 In his second game since returning from the IIHF World Junior Division II A Championships, Liam Kirk added to the scoreboard. Too many men penalties were swapped between the teams, and with the Petes on the power play Jones was called from his net to add an extra attacker, but to no avail. Adam Ruzicka sealed Sudbury’s 7-4 with an empty netter to close out the game. Murray, Timleck, and Hutcheson were named the game’s first, second, and third stars, respectively. Final shots were 33-24 for the Wolves. 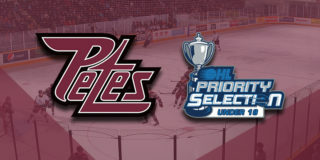 The Petes wrap up the weekend in Sault Ste. Marie as they take on the Greyhounds on Saturday, January 26 at 7:05pm. They return next week for a rare Wednesday game on January 30 at 7:05pm to face the Hamilton Bulldogs. 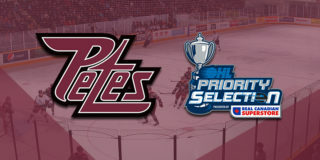 Petes Holiday Flex Packs are available for just one more game. For just $59.99 (tax included), fans will receive two Petes holiday mugs, two $2 Tim Hortons Tim Cards, and four flexible ticket vouchers to be used at games on January 30. The regular price of this package is $118, which means fans save almost 50% on the special offer. Contact Mike at (705) 743-3681 x 263.